A touchstone is a stone used to gain insight into the qualities of a sample of gold. 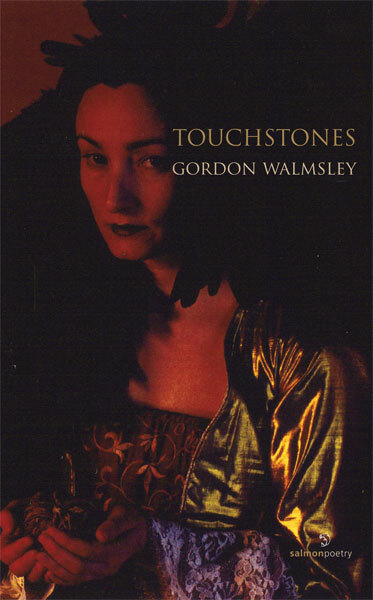 Gordon Walmsley develops this theme, the theme of insight, into a many-faceted adumbration of poems. He raises the question: how can we fathom the cold mechanism of an increasingly authoritarian world and be free to think and act as we wish, according to our inner touchstone? Poems and poetic sequences range from lyrical beauty to stark realism of terrifying intensity. A bold honesty permeates the book. Utilizing a variety of poetic expression, he leads us to Poesia, who appears to us in many guises. Gordon Walmsley, born and raised in New Orleans, has lived in Copenhagen (Denmark) for over twenty years. A graduate of Princeton University, he has published four previous books of poetry, including Terebinthos (Salmon, 1999). He was also the editor of Fire and Ice, Nine Poets from Scandanavia and the North (Salmon, 2003). After the tragedy of Hurricane Katrina, he has returned whenever possible to the home of his birth to give readings and poetry-writing workshops.